A New Grapes of Wrath? According to Deadline, Dreamworks Studios and Steven Spielberg are planning to produce a new film version of John Steinbeck's The Grapes of Wrath. The 1940 John Ford film remains a masterpiece though and it's hard to see them outdoing it. One of the reasons the story was so powerful was because it was an encapsulation of what America had experienced during the Great Depression- maybe they ought to do an updated-to-present day version concerning the recent economy instead? At least it would be something different. 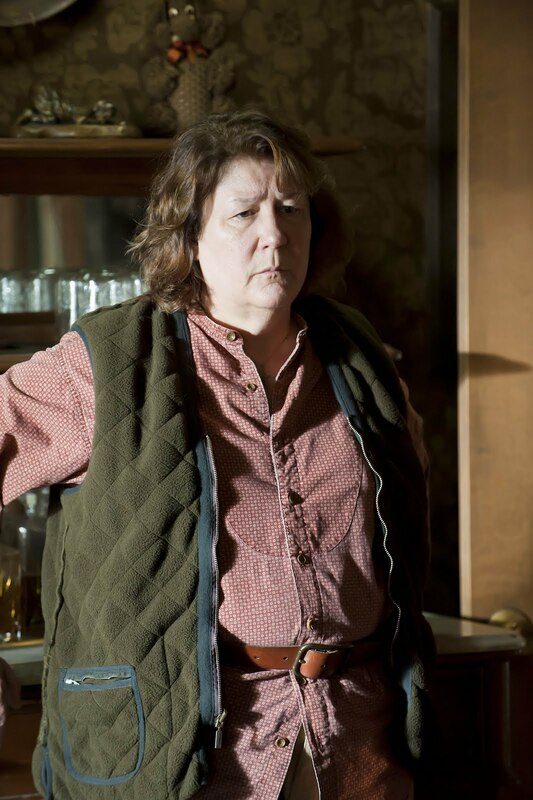 I can't imagine who'd take over the Henry Fonda role, but I have just one name for the new Ma Joad- Margo Martindale, from Justified and The Americans. Seriously, cast her now. July 3, 2013 by Ariel Shavonne.